The Half Moon resort, located in Rose Hall, Montego Bay, broke ground in May 2017 on a US$75 million investment, which will see the additions of new room and suite accommodations, Great House lobby, two new restaurants, three new bars, marketplace with coffee shop and vegan cafÃ©. 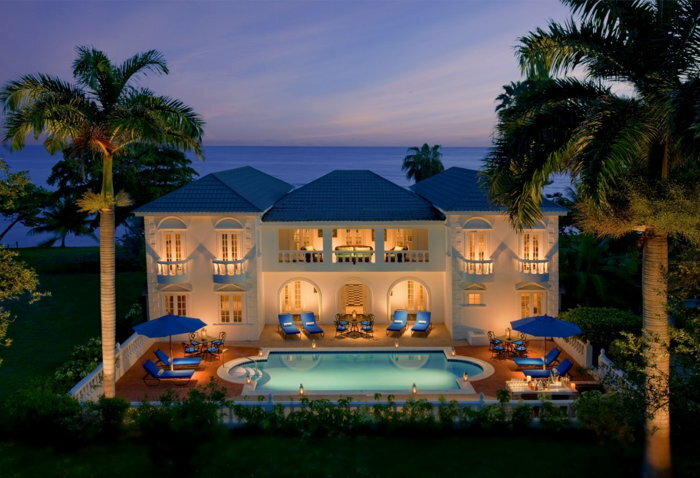 Effective October 1, 2018, the villas at Half Moon, Jamaica's iconic resort destination, will be renamed Rose Hall Villas, operated by Half Moon.Half Moon's Board of Directors made the announcement as part of the resort's transformation, "A Legacy Reborn". The Half Moon resort, located in Rose Hall, Montego Bay, broke ground in May 2017 on a US$75 million investment, which will see the additions of new room and suite accommodations, Great House lobby, two new restaurants, three new bars, marketplace with coffee shop and vegan café. "With all the new offerings coming on board," noted Guy Steuart, chairman of Half Moon's Board of Directors, "we are further enhancing one of the best characteristics of the villas – the private atmosphere of each individual villa within a neighborhood, complemented by nearby resort experiences, which are offered by Half Moon." The existing 28 villas, available as 4-, 5-, 6- and 7-bedroom accommodations are an excellent choice for families and groups, with each featuring a living and dining room, outdoor living space and private pool. The experience offered in these self-catering accommodations are punctuated by the warm and detailed attention shown to villa guests by the staff. Each villa comes with a butler, housekeeper and a cook who is well-versed in the art of home cooked meals, and planned gatherings such as picnics and barbecues. "Imagine a family getaway, reunion or a group of friends, where everyone is escaping to a villa in beautiful Jamaica with the flexibility of dining at any of the Half Moon restaurants, watching the sun set while enjoying the evening at our popular Cedar Bar before sitting down for dinner at the Sugar Mill, an award-winning experience," he said. Rose Hall Villas lend themselves to memorable experiences – families return year after year with the children revisiting their stomping grounds in and around the gardens of the villas or at Half Moon's Anancy Children's Village. "We receive requests from returning families to have the same staff assigned to their villas that they're used to seeing," said Jacqueline Gordon, manager of Rose Hall Villas. "We always try to accommodate where possible because this is one of the experiences that makes vacations truly enjoyable for our guests." Starting in Fall 2018, prior to arrival, guests of Rose Hall Villas will be afforded the pre-arrival services of stocking their villa with groceries, making reservations at any of the Half Moon restaurants and booking activities and excursions with the Rose Hall Villas concierge. Rose Hall Villas will also offer check-in services to guests on arrival in the villas or in the Rose Hall Villas reception area, and butlers will be equipped with golf carts to assist guests with moving freely around the 400-acre Half Moon and Rose Hall Villas properties.